Precise Measurement and Repeatability of Indications. The automatic adjustment system of the A-series balances is a control-verifying tool enabling precise weighing performance in any conditions. Accuracy Even in Challenging Conditions. The A-series vast operating temperature range and resistance to external conditions minimizes environmental influence on balance operation. The balance monitors and adjusts for accuracy in the changing temperatures, ensuring measurement stability. Easy-to-read Information Arrangement. 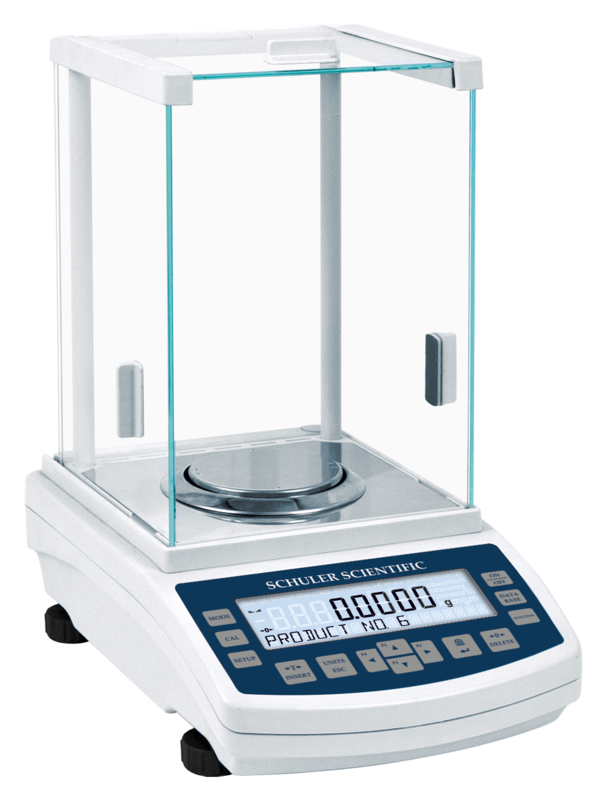 The clear weighing result display is guaranteed due to the large, easy-to-read LCD. Onscreen symbols inform you of real-time function or working mode, battery charge, connection status, etc. An additional text line allows a preview of weighing process-related messages and information. Direct Access to Selected Functions. The balance overlay features quick access keys to allow for activation of a function or entering a database all with a touch of a single button. Calibration in a Snap. The B-series is easily adjusted through the press of a button. By pressing the CAL button, it triggers the external calibration process and guides the user through the process, prompting them for the correct calibration weight (calibration weight purchased separately). Multiple Working Modes. The B-series balance provides a variety of working modes all within an economical package. 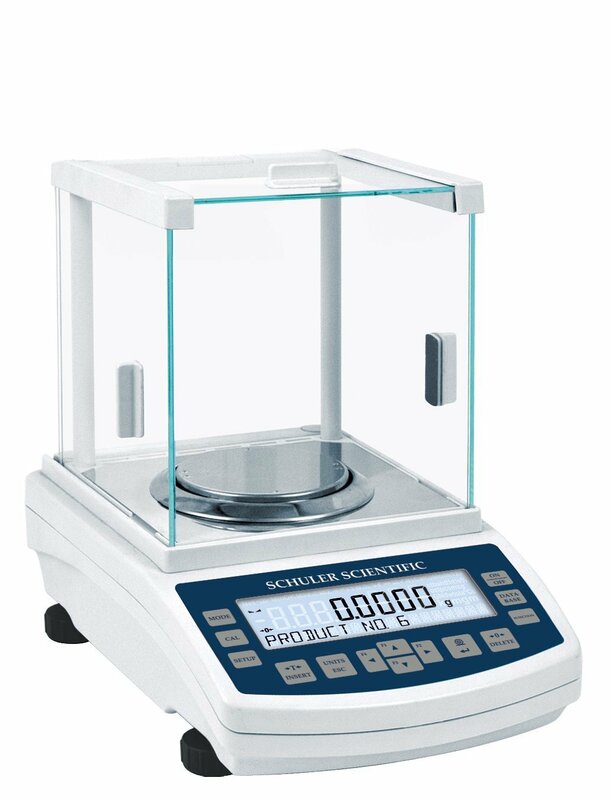 Working modes include: weight, parts counting, deviations %, density determination (solids and liquids), and animal weighing. Large 5" Color Capacitive Touchscreen. The TD-Series features a large, user-friendly touchscreen allowing for simple navigation of the balance. The display allows for customization of the information to fit the users needs. Accuracy for any Condition. The multi-shield mechanical design of the TD-series balance offers effective protection against the influence of ambient conditions. With such design, the TD-series stands for the fast and reliable measurement of either light or heavy loads, even when ambient conditions pose challenges. Hands Free Operation. 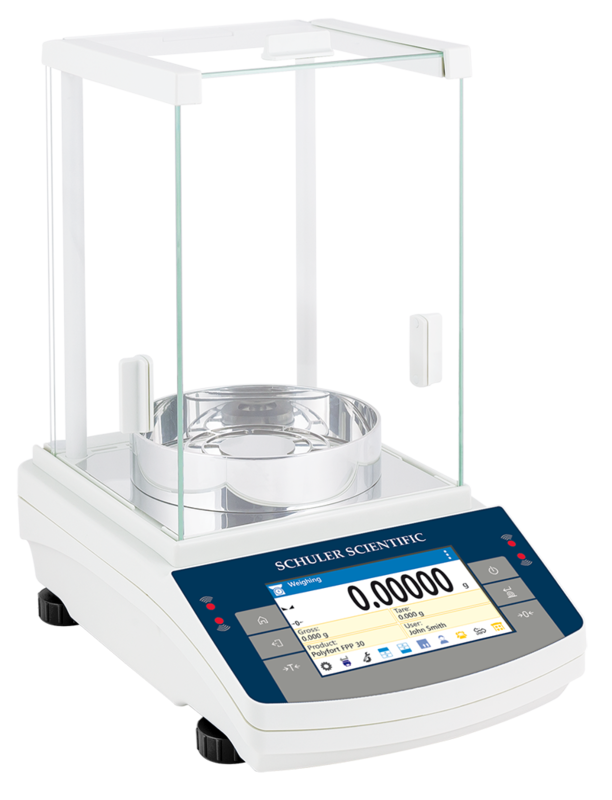 The TD-series features two IR Proximity Sensors on the balances front display. Users can program the IR Sensors for each of the working modes to perform unique actions by passing a hand over the sensor. Actions include tare, zero, print, and many more.